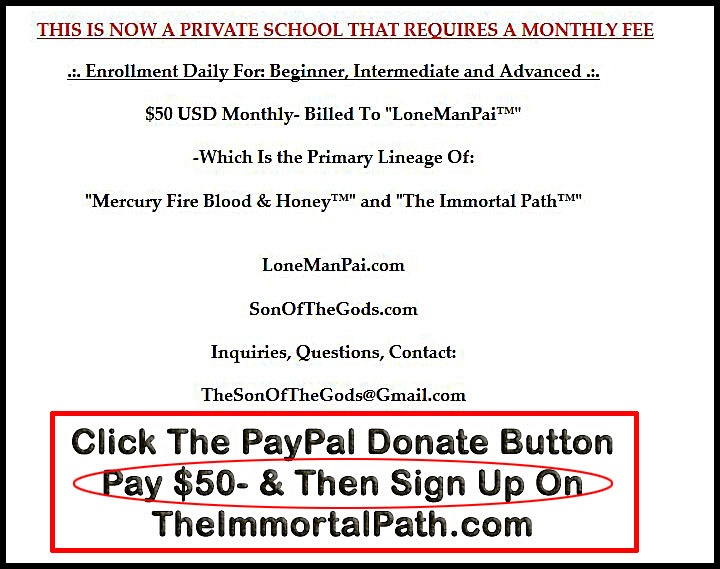 Membership at TheImmortalPath.com grants you access to ALL LoneManPai™ & "Mercury Fire Blood & Honey" Forums/Sub-forums and Archived Materials. WinRARs, Books, Videos & much much more! 2 5 177 New Videos - 264 Total Videos Added! All The LoneMan Pai™ Techniques With Discussion. 139 2,404 Summoning whilst menstruating?